Founded in 1956, the Ulster Historical Foundation is a long-established, highly reputable research and publishing agency. It offers its extensive knowledge to help people discover their Irish and Scots-Irish ancestors, developing into one of the principal genealogical research agencies in Ireland. Our aim is to encourage an interest in the history of the province of Ulster; promote a positive image of Northern Ireland overseas; strengthen the links between Ireland and those of Ulster descent; broaden access to historical documents and records for Irish and Scots-Irish genealogy; and to inspire pride in Irish and Ulster heritage and culture. During the course you will be assisted in your research and enjoy talks from a range of acknowledged experts of Irish genealogy, history, migration and archives. Between them they have some sixty years’ experience in helping individuals trace their Irish family history. 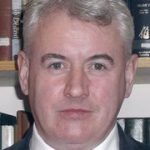 Working with technology partners, Fintan was a pioneer in the creation of online resources for Irish research and has maintained the Foundation’s prominence in digital database developments for Irish genealogy. As Executive Director of the Ulster Historical Foundation Fintan has managed the production of over 100 publications, including the popular Researching Scots-Irish Ancestors and has lectured extensively on Irish history and genealogy in the U.S. and in Canada, the U.K., Australia, and New Zealand. Gillian Hunt is Research Officer with the Ulster Historical Foundation and is responsible for the management of the Foundation's many genealogical activities. As well as managing the genealogy side of the Foundation's work, Gillian carries out research for clients and is a hugely experienced user of the Public Record Office of Northern Ireland and the General Register Office. She regularly teaches courses in Northern Ireland and gives talks on family history in the rest of Ireland, the UK and the USA. Gillian has been with the Foundation since 2001, and received a degree in History (BA Hons, 1998) and a Masters in Historical Studies (MA, 2000) from the University of Wales, Aberystwyth. Dr William Roulston holds a PhD in Archaeology from Queen's University Belfast is a Member of Council of both the Presbyterian Historical Society of Ireland and the Belfast Natural History and Philosophical Society, and is a Fellow of the Society of Antiquaries of Scotland. He has written a number of books, including Fermanagh: History and Society (edited with Eileen Murphy, Dublin, 2004), Researching Scots-Irish Ancestors (Belfast, 2005), Restoration Strabane, 1660-1714 (Dublin, 2007), Three centuries of life in a Tyrone parish: a history of Donagheady from 1600 to 1900 (Strabane, 2010) and Abercorn: The Hamiltons of Barons Court (Belfast, 2014).